At Heard & Scene, we’re often asked what—and who—may be about to burst on to the scene. Each Monday, we’ll highlight the people, places and things crossing our radar screen. 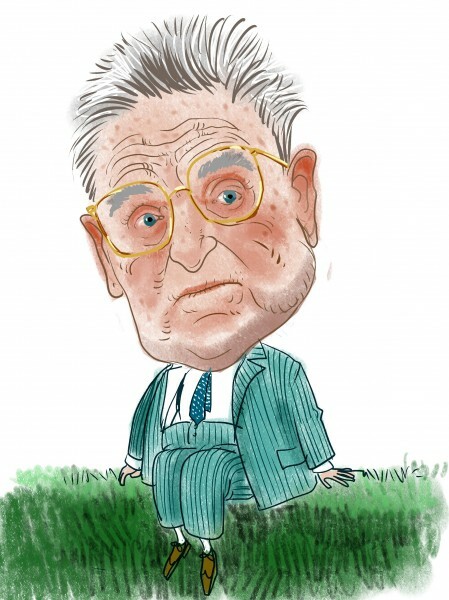 At a party held on a sprawling, seafront farm in Bridgehampton Saturday evening, Alexander Soros, the 26-year-old aspiring academic and son of business magnate George Soros, took off his mask. Bank of England Deputy Governor Paul Tucker gets the chance today to testify on the Libor scandal that cost Barclays Plc (BARC)’s top three managers their jobs and cast doubt on his prospects of succeeding his boss, Mervyn King. Tucker, 54, will take the seat occupied by former Barclays Chief Executive Officer Robert Diamond on July 4 and relate to lawmakers his side of a 2008 phone call between the two men that has drawn the Bank of England into the furor on interest-rate manipulation. A memo Diamond wrote suggested Tucker might have hinted that Barclays could lowball its Libor submissions. Chicago, Illinois-based hedge fund manager AM Capital Advisors posted an 18% performance in June to offset the -12% losses registered in May to finally end last month with a +6.06% gains versus the DOW index + 3.94%, NASDAQ +.44%, and the S&P 500 index at +3.99%, AM Advisors President Aaron Miller told Opalesque in an exclusive interview. Since inception in July 2009, AM Capital’s performance was up +42.92% versus the same time period for the DOW index +52.47%, NASDAQ 58.96%, and the S&P 500 index at +47.92%. The demise of Stark Investments LP’s flagship multistrategy hedge funds is one of the industry’s largest to date, said industry sources. Investors were informed last month that Stark Investment’s multistrategy hedge funds will be closed. But the firm, founded in 1988 and one of the oldest hedge fund managers around, is still in business in St. Francis, Wis. Total assets are estimated to be less than $1 billion, down from a peak of $13.6 billion as of Aug. 31, 2007. Its head count is down to 120 people, 300 fewer than in 2007, and those employees now are focused solely on managing funds in Stark’s legacy core strength — credit-related investments. Pension funds are continuing to raise their exposure to alternative investments, according to data collected by Towers Watson, the consultancy. The Global Alternatives Survey by Towers Watson in association with FTfm, which is now in its ninth year, found that the total pension fund assets under management held by the top 100 asset managers surveyed rose 7.9 per cent, from $951.7bn in 2010 to $1.03tn in 2011. With the financial crisis receding into history and new regulations targeting banks, the industry is witnessing a rebound in the number of new proprietary trading firms. And this could just be the beginning. Refugees from big banks stung by the Volcker rule, as well as traders formerly with large hedge funds, are stepping out on their own. For many, however, it is not an easy task. According to data from hedge fund tracker HFR, the number of new funds has been streadily rising in the U.S. since the crash of 2008. Last year, a healthy 1,113 new funds were launched, compared to a 10-year low of 659 in 2008. As of March 31, S.A.C. Capital Advisors owned about 2.25 % of Aéropostale ARO -1.16% . In addition to this premier mall-based clothing retailer, Steven Cohen’s S.A.C. Capital has a very diverse set of holdings in its $22 billion portfolio, including Murphy Oil MUR -1.01% , Apple AAPL -0.67% and Sirius XM Radio SIRI -2.15% ( You can view the portfolio here ). Last week, Steve Cohen revealed that his position in Aéropostale reached 4.1 million shares or a 5.1% stake in the company. Let’s check out insider sentiment in the stock before we try to answer what Steven Cohen sees in Aéropostale. THE Serious Fraud Office (SFO) has reopened its criminal investigation into the collapse of Weavering Capital in 2009 – 10 months after dropping the original probe. New director David Green called for the U-turn after a high court judge found Weavering Capital’s founder Magnus Peterson liable for deceit and breach of his fiduciary duties in a civil case in May. Tigers Realm Group, an Australian mining and exploration company, is planning to go into Burma after receiving US $30 million in new private funding, according to a report by The Australian. “We’ve had some people there, they’ve done some surveys and we’ve got some contacts,” said the company’s chairman, Own Hegarty. He added, however, that the company is still in talks to acquire mining rights, in addition to its exploration license. Most of the company’s new funding is believed to have come from the $7 billion Mount Kellett Capital Management hedge fund. When they decide this week which derivatives will be considered swaps under the Dodd-Frank Act, U.S. regulators will unleash a cascade of new rules on the $648 trillion global market designed to prevent a repeat of the 2008 credit crisis. The U.S. Commodity Futures Trading Commission and Securities and Exchange Commission are poised to complete several hundreds of pages of regulations as early as tomorrow that determine when trades by JPMorgan Chase & Co. (JPM), Goldman Sachs Group Inc. (GS), Cargill Inc. and other companies must fall under rules to reduce risk and increase transparency. The CFTC is also scheduled to complete a clearinghouse regulation. Global cues have started dwindling again, taking markets down as well. European markets gave up quite a bit of those gains they earned post the EU summit and the European Central Bank (ECB) and Bank of England (BoE) monetary policy meetings. In an interview to CNBC-TV18, Saurabh Mukherjea, head of equities, Ambit Capital says that as we heard towards the Federal Open Market Committees (FOMC) August 1 announcement, investors may find some zest coming back into global markets. “There are widespread expectations of QE being pushed through at the August 1 FOMC announcement,” is his view. Wells Fargo Asset Management, part of the San Francisco, US-based bank, is to launch six new investment sub-funds under the Wells Fargo (Lux) Worldwide Fund as part of the firm’s growth strategy to develop its international offerings. Wells Fargo AM rates itself the 11th-largest US mutual fund manager and the 28th-largest internationally, with more than $445bn in global assets under management and more than 35 portfolio management teams worldwide. Less than one month, the world investment tycoon Jim Roger once again came to China to attend the fourth conference of China asset management of future companies in Hang Zhou. Coincidently, his recent tow time China tours correspond with the central bank’s latest two times interest rate cuts. This time, the finance mogul delivered his opinions toward China’s real estate sector, saying there is bubble in the country’s property market, and the bubble varies across the country. The coastal region enjoys a more serious problem to experience a hike in property prices, while other areas show better in the extent. “Dr. Doom” Nouriel Roubini, says the “perfect storm” scenario he forecast for the global economy earlier this year is unfolding right now as growth slows in the U.S., Europe as well as China. In May, Roubini predicted four elements – stalling growth in the U.S., debt troubles in Europe, a slowdown in emerging markets, particularly China, and military conflict in Iran – would come together in to create a storm for the global economy in 2013. In the electric-utility industry, where leaders earn kudos for quietly increasing dividends and tending to their knitting, Duke Energy Corp. Chief Executive Jim Rogers has always cut a flashier figure. Slight of stature but with an outsize personality, Mr. Rogers has carved out a role for himself as an energy visionary, espousing big ideas in venues—from the World Economic Forum in Davos, Switzerland, to “The Colbert Report” on Comedy Central—outside the reach or interest of most utility executives. Summer 2009. Unemployment is soaring. Across America, millions of terrified people are facing foreclosure and getting kicked to the curb. Meanwhile in sunny California, the hotel-heiress Paris Hilton is investing $350,000 of her $100 million fortune in a two-story house for her dogs. A Pepto Bismol-colored replica of Paris’ own Beverly Hills home, the backyard doghouse provides her precious pooches with two floors of luxury living, complete with abundant closet space and central air. By the standards of America’s rich these days, Paris’ dogs are roughing it. In a 2006 article, Vanity Fair’s Nina Munk described the luxe residences of America’s new financial elite. Compared with the 2,405 square feet of the average new American home, the abodes of Greenwich Connecticut hedge-fund managers clock in at 15,000 square feet, about the size of a typical industrial warehouse. Many come with pool houses of over 3,000 square feet. iPad unit sales. That’s the number that jumps out from the estimates I’ve gathered so far for Apple’s (AAPL) third fiscal quarter of 2012, which ended June 30th. There’s more to come, but as of Monday, July 9, I’ve seen 60 estimates — 28 from the professionals who cover Apple for banks and brokerage houses and 32 from a rapidly growing contigent of independent Apple analysts — bloggers, long-term investors and at least one day trader who has started a multimillion-dollar Apple hedge fund. As China slips, the second-half performance for many emerging market mutual funds might soon follow. In recent months, investors have been pulling hundreds of millions of dollars out of stock funds that invest mainly in companies associated with the big four emerging market nations of Brazil, Russia, India and China. Alan Howard, a former head of proprietary trading at Credit Suisse First Boston, co-founded Brevan Howard Asset Management LLP, an investment firm, with Jean-Philippe Blochet in 2002. Blochet left the firm in 2009. Alan Howard is currently responsible for some 25% of the company’s trades. He is known as an extremely risk-averse investor who focuses on macro trades. Howard’s objective is finding “asymmetrical outcomes” in all sorts of investment vehicles. With net worth of $2 billion, Howard ranks 634 on the list of Forbes Billionaires. In 2011, Howard’s $27 billion Master Fund, which has made money every year since its launch in 2003, ranked fifth in Institutional Investor’s Hedge Fund 100. The Master fund returned more than 12% in 2011, compared to a negative 5% return by an average hedge fund. Even during the worst financial crisis in modern times, in 2008, Brevan Howard Master Fund scored a 20.4% gain, while average fund lost 19% and the S&P 500 dived 37%. AsianInvestor this week reported that Joe Chan’s Galaxy Asset Management, one of Hong Kong’s longest running hedge funds, had decided to shutter its China Absolute Return Ucits hedge fund just 19 months after inception. The fund, which at the time was the first Ucits-compliant, China-focused hedge fund to be launched by an Asian fund manager, launched with USD30million in November 2010. It has now earned another, albeit unwelcome, first by becoming the first known closure of a China alternative Ucits fund by an Asian manager. The fund ceased trading at the end of May according to a Galaxy spokesperson. Based on the firm’s flagship Galaxy China Opportunities Fund, an equity long/short strategy, the aim was to tap into European investor appetite for China growth. Capital Group One’s first Euro hedge fund launched in 2007, well before the current EU problems materialized. Based on the massive success of the original fund, a second one has been launched to balance the risk of further losses for the Euro and Euro backed securities. Certain high level investors with Capital Group One have already taken significant positions in the fund. The companies’ lead fund management team is helming the new Euro hedge fund as well as the original. This latest offer will enable the companies’ fund managers to provide shelter and relief from the hostile economic environment in the EU, which most analysts rate as a long term problem. The successful experience with the first fund provides a strong advantage, so expectations are very high for the second Euro hedge fund. We caught up with Simon Lack, author of The Hedge Fund Mirage: The Illusion of Big Money and Why It’s Too Good to Be True. This tome explains why ’tis better to manage a hedge fund than to invest in one. We got to thinking about reader reaction to this. After all, what master of the universe wants to hear that he may not be so masterly after all, simply being paid better because he calls his vehicle a hedge fund instead of an institutional investment fund? On the other hand, the more spirited among you may appreciate that there’s more opportunity now than ever, considering the recent track record of your competition. I am once again indebted to The Economist for writing about my book and noting some of the points I made about hedge funds’ poor performance. On January 7 they covered it in the Buttonwood column, and this weekend they once again discussed the issues I raised. They are performing a public service by highlighting some important concerns for investors. I first introduced readers to the JOBS Act in April of this year. For hedge fund managers, especially ones running smaller books, I believe the JOBS Act is one of the most important pieces of legislation that will affect their business. Under Title II of the bill, managers can generally solicit REG D offerings to the public as long as all ultimate purchasers are accredited. Previously, one needed to have a previous relationship to market to investors. In theory, that is all about to change. The bill gave the SEC 90 days to revise the general solicitation rules that are currently used. That day was SUPPOSED to be July 5th. Unfortunately, the SEC will not meet the deadline. With the Hollywood gold rush into China in high gear, it’s hard to tell the real players from the wannabes. In recent months, a number of film funds have announced their intent to invest in U.S. entertainment assets or initiatives on the mainland, but very few have actually inked deals. Instead, most of the real money seems to focus at least partially on China itself, which befits the country’s mandate to build its own entertainment business by working with outside expertise. That includes construction of new China-based facilities and co-productions geared toward the Chinese and global marketplaces. The Swiss-based Helium Special Situations Fund has reported a strong first half of 2012. The fund is reporting a monthly gain of slightly over 3% and year-to-date gains of over 14%, according to sources familiar with the firm. The Fund was launched 31 July 2006, and has had previous yearly performance over 100%. Performance was positive nearly every month of this year, with a slight dip in May. Performance since inception has been 152.52% (GBP class). With a rate of return annualized of 16.95%. The fund relies on an Event Driven strategy that has so far outperformed current Event Driven benchmarks including the HFRX Event Driven Index and AIM100 Index at +2.99% and -2.87% respectively. A women’s clothing chain has rejected hedge fund firm Aria Partners’ $64 million bid to buy the company. Minneapolis newspaper StarTribune reported that Christopher & Banks has turned down the proposal from the hedge fund to acquire all outstanding shares of the company, stating it is not in the best interest of stockholders. Talk about a federal stimulus plan. The Securities and Exchange Commission has amassed a $452 million pot of cash to be paid out to fraud busters across the country, according to a recent report. The cash is part of the regulator’s whistleblower program, which marked its first anniversary this week. The pot of gold represents the whistleblowers’ share — which can range from 10 percent to 30 percent of what the government recovers because of a tip. The tips range from insider trading and rigged bonds deals to cover-ups of cooked books and bribes. If I had one bit of advice to reach the ears of Barack Obama, Mitt Romney, and Ben Bernanke, it would be this: stop the illusion that you have any significant control over the US economy. Government is designed for justice, and does not do well when trying to promote prosperity. At most, economically, the government can set ground rules that reduce the probability of fraud. As it is, at present, the US still has an over-indebted economy, and as a result, will grow slowly, because businesses and individuals in danger of default do not spend freely.